Context: Arriving on the shores of Purgatory at dawn Dante sees Venus in Pisces. 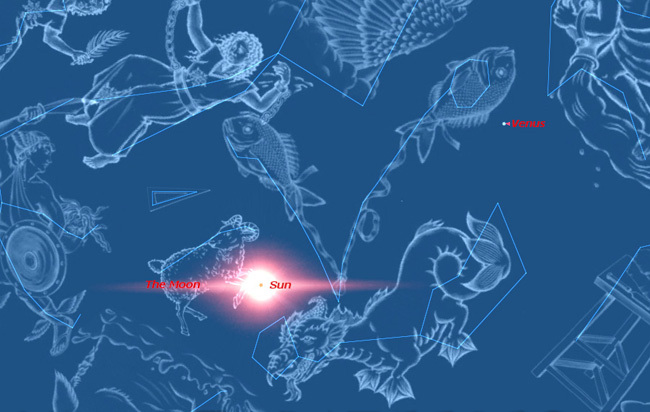 In 1300, however, Venus was not yet in Pisces, thus we show two images here. 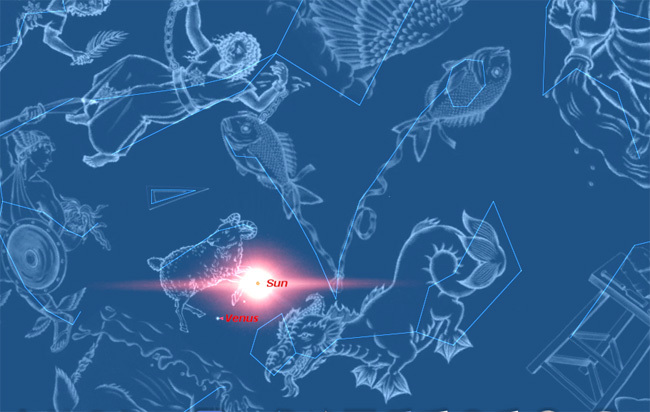 The first image shows the position of Venus in 1300 and the second shows the position of Venus in 1301 when it was finally in Pisces. The error may reflect a misreading of an almanac, the use of poetic license, or Dante is perhaps projecting an image of an ideal Easter.